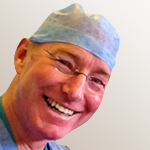 Dr Patrick Doyle originally trained in South Africa and then moved to the UK to undergo further anaesthetic training. He is a consultant anaesthetist at Imperial College Healthcare NHS Trust and is an honorary senior clinical lecturer at Imperial College. He specialises in head and neck surgery anaesthesia, urology anaesthesia and neurosurgical anaesthesia, as well as all forms of general anaesthesia. His specialist research interests are the use of ultrasound in anaesthesia and organ protection.